Whatever we need, Star print Always Delivery on TIME! ISS Education would highly recommend StarPrint to anyone looking for top quality, efficient printing services. The company has supported us for over ten years and has never failed to meet our high expectations. We work to tight deadlines and it is consistently reassuring to know that we can rely on StarPrint to provide for our needs. The team are helpful and friendly and make every effort to accommodate our requests. We have consistently used Star Print for all our printing needs for well over 10 years. Not only does he provide high quality products, but he does so in a very short lead time which is essential for our business. Their designers are easy to work with, which means we can reply on a great finish to our products. With delivery included, we could not be happier. Would highly recommend as long as you don't have a dog. 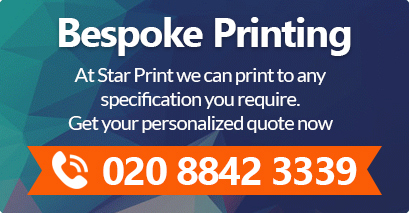 Star Print Offer excellent customer service and a fantastic response time. Their work is always of the highest standard and have friendly staff to assist through out. We have been using Star Print for many years now, and the simple reason for this is, the turnaround time for the work we asked to be done is quick and efficient. The work we have had done has been of the highest quality and this is why we use Star Print. No job is ever too hard or too much, we get excellent customer service and the delivery of the design work and finished products are excellent.